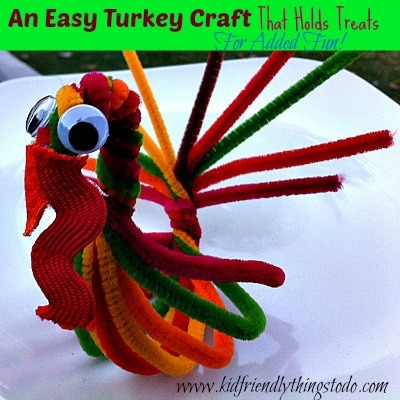 This turkey is so super cute, and easy to do. 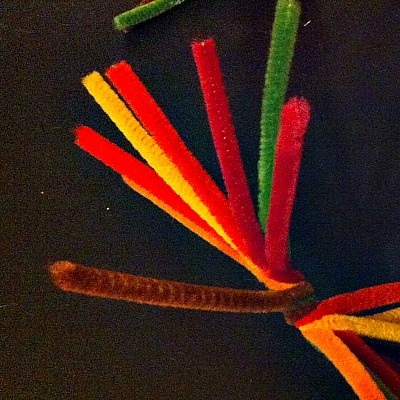 My six year old had absolutely no problem doing one all by herself! 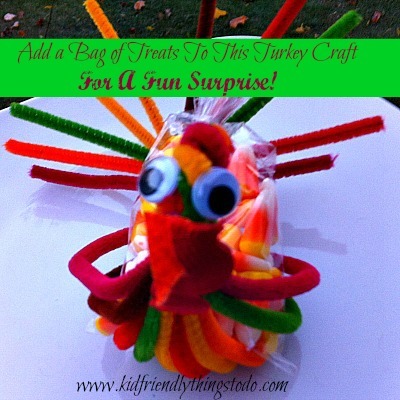 I love that this turkey holds little bags of treats (popcorn, candy, craft kit, etc…) in the middle. 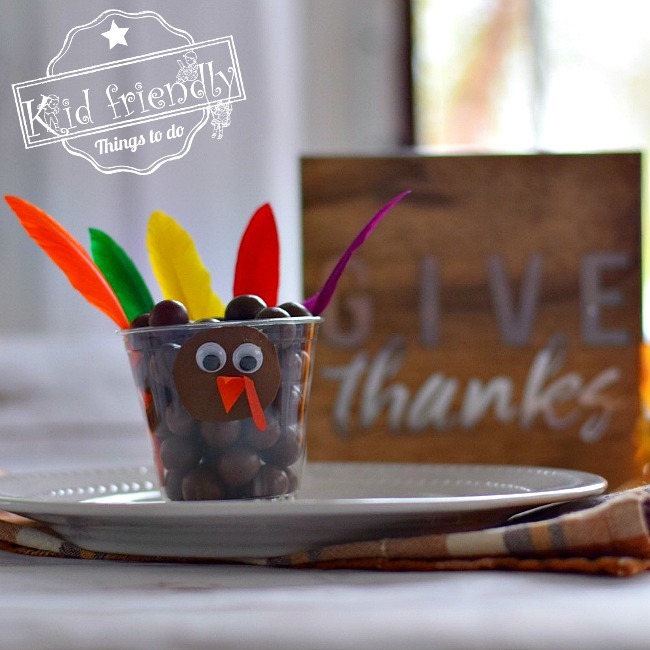 Wouldn’t that be adorable on a kid’s Thanksgiving table? 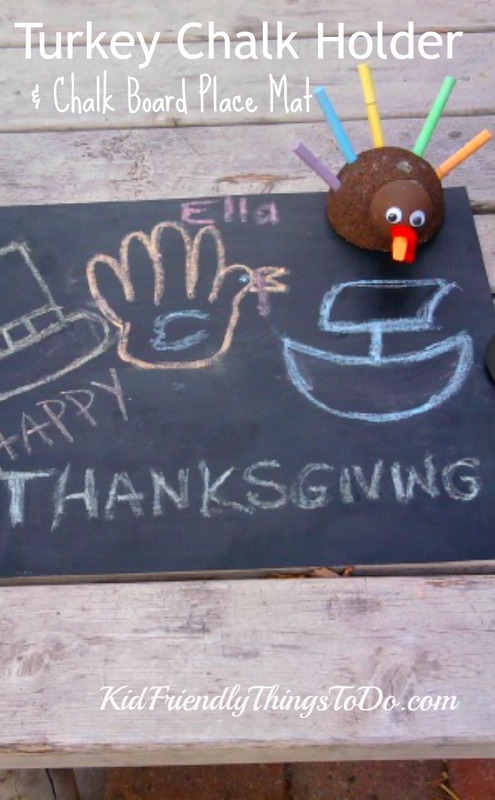 You could even put a place card instead of treats in the middle of this turkey! 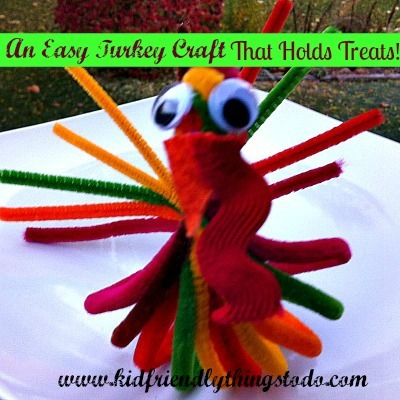 Here’s how you can make this turkey! 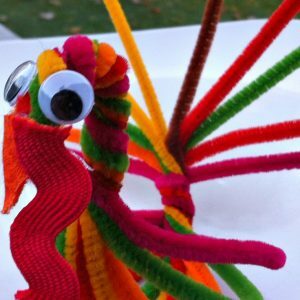 Red Rick-Rack for the gobble – Substitute anything red here! 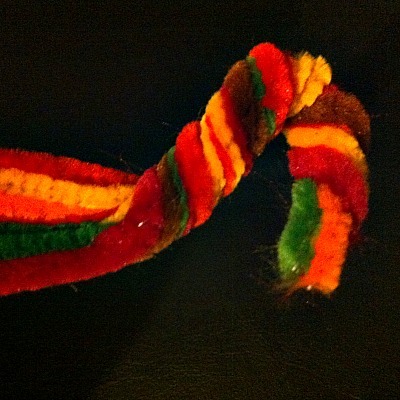 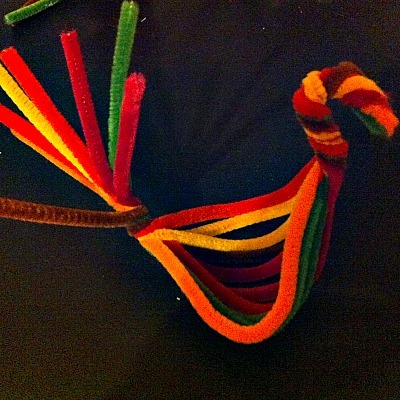 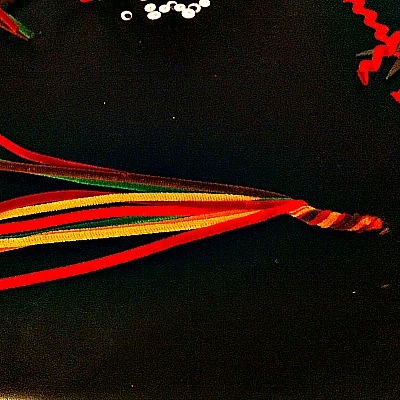 Go about 2 inches down from one end, and twist the pipe cleaners tightly together – this is your neck, and turkey head! 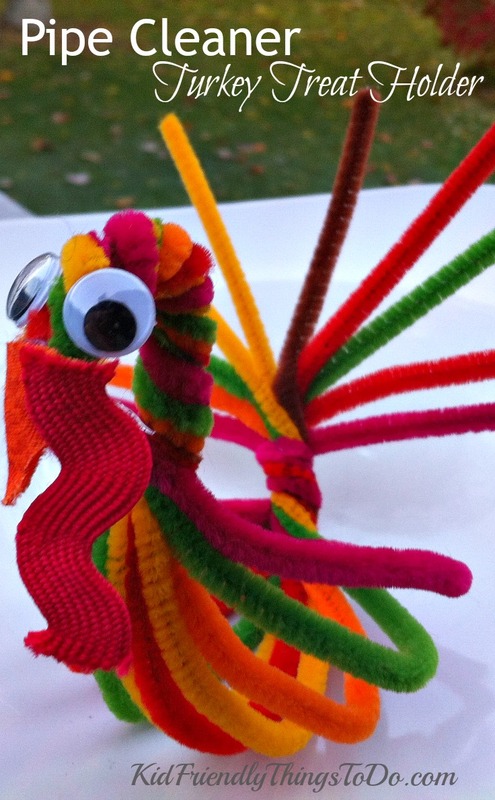 It’s a colorful fall Turkey! 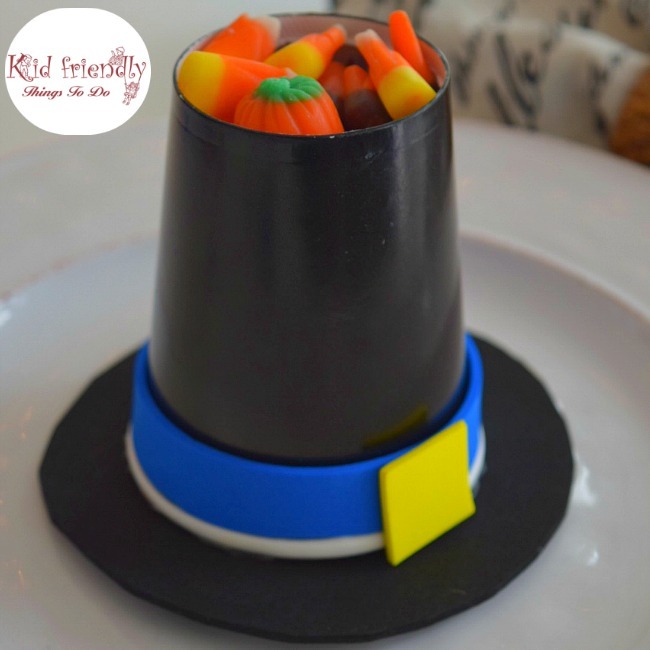 Add Treats for a fun Surprise!